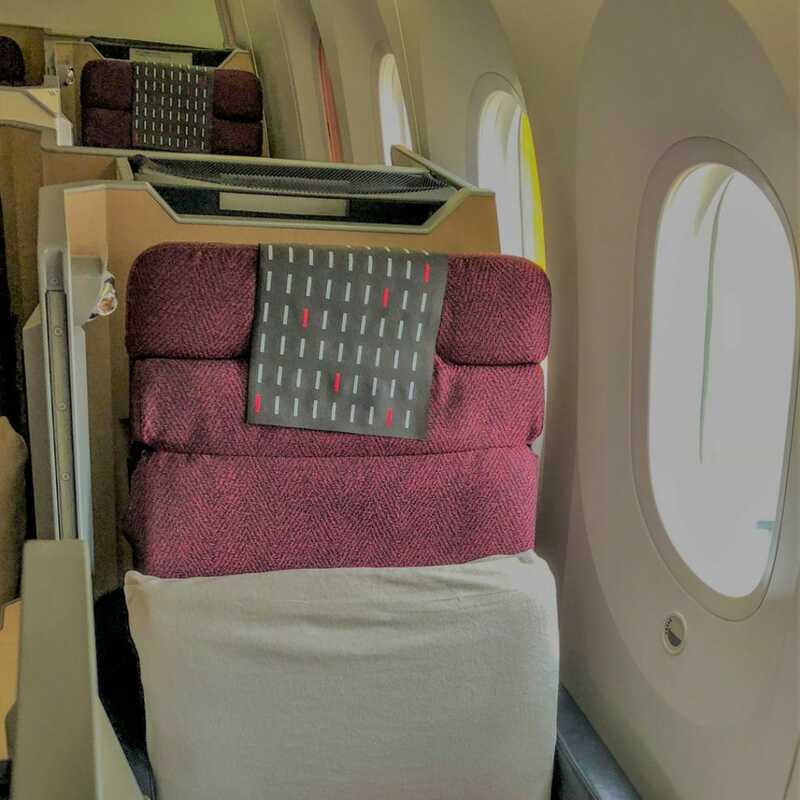 Japan Airlines business class offers one of the most comfortable ways to travel from selected Australian cities to Japan. 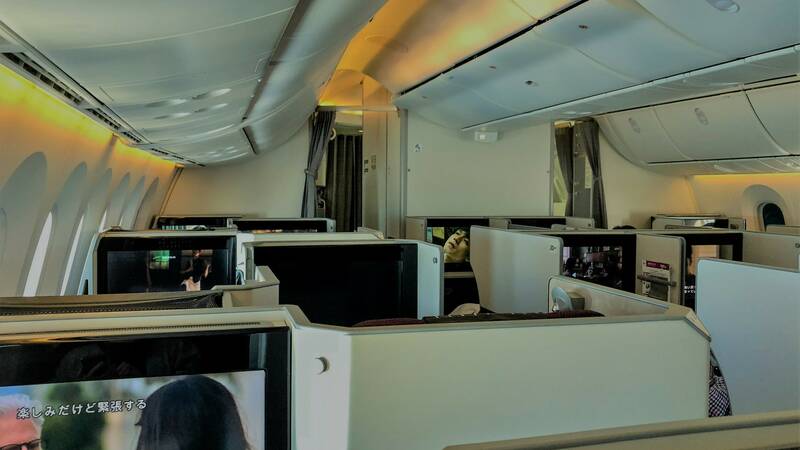 Operating its Dreamliner aircraft between Melbourne / Sydney and Tokyo, JAL business class is renowned for offering an award winning business ‘sky-suite’ and an extremely high standard of hospitality and service. 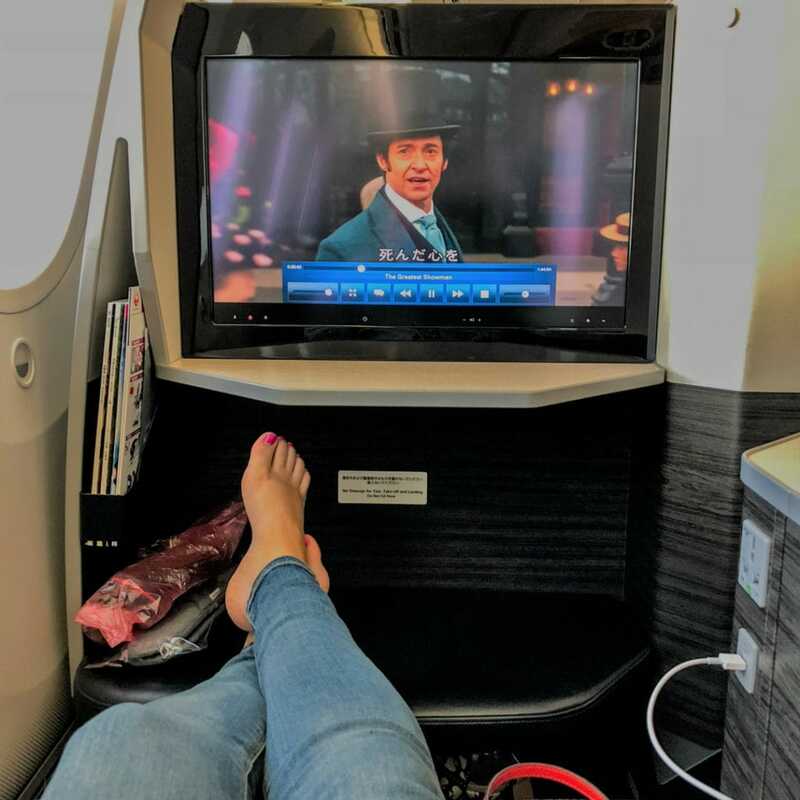 Recently, I had the opportunity to road test the JAL Dreamliner business class suite from Tokyo to Melbourne, and it didn’t disappoint. Read on for an in-depth review of this fabulous product. Rich with culture, and Instagrammable as anything, a trip to Tokyo has long been on my bucket list. I’d been checking for Japan Airlines award ticket availability for quite some time. Japan Airlines is a OneWorld partner airline, and award space can now be booked online via the Qantas website. While Japan Airlines flights are certainly one of the best ways to use Qantas points, I instead opted to book my flight via the American Airlines AAdvantage program. Once I’d identified flight availability, I was able to outlay just 40,000 American Airlines points, plus minimal taxes for my seat. Had I booked this flight directly with Qantas, I would have forked out a sizeable 78,000 points plus considerably higher taxes. It’s not possible to earn American Airlines AAdvantage miles directly with an Australian credit card. However, AAdvantage miles can be obtained via the Marriott Rewards hotel loyalty program. AAdvantage points can also be purchased directly from American Airlines. 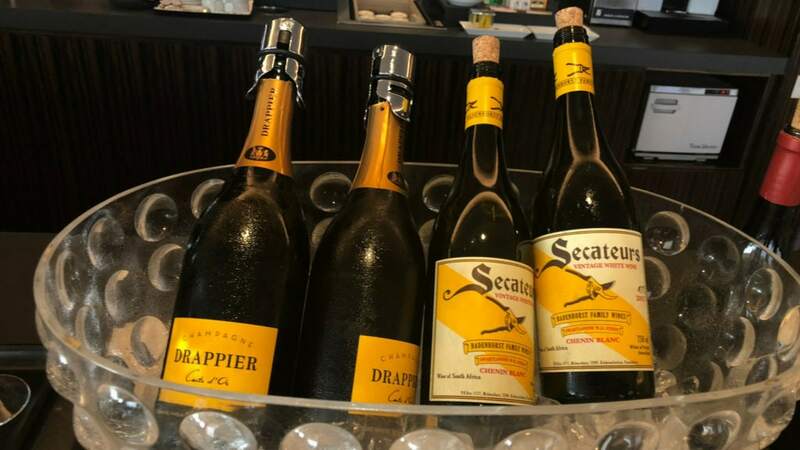 I hold Qantas Platinum status courtesy of several status runs, and I was particularly keen to visit the Japan Airlines Sakura First Class Lounge at Tokyo Narita Airport. After checking in and enduring what seemed like a very long wait for immigration clearance, my friend and I made our way to the Lounge. The entrance to the Japan Airlines First Class Lounge is conveniently located just behind immigration. 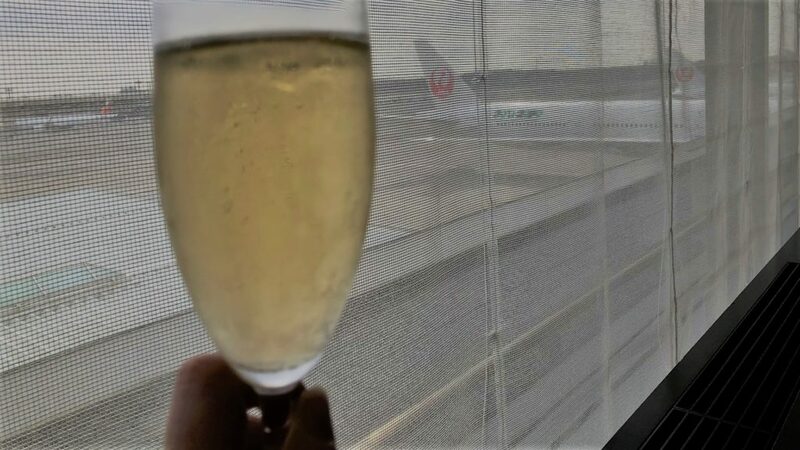 The Japan Airlines First Class Lounge is long and narrow and commands sweeping views over the tarmac. The lounge features a small hot and cold buffet section, a bar, Drappier Champagne (plus decidedly non-Champagne Spanish cava), a fresh sushi station and a frustratingly archaic business centre. Overall, I found the Japan Airlines First Class Lounge a comfortable space to relax in. 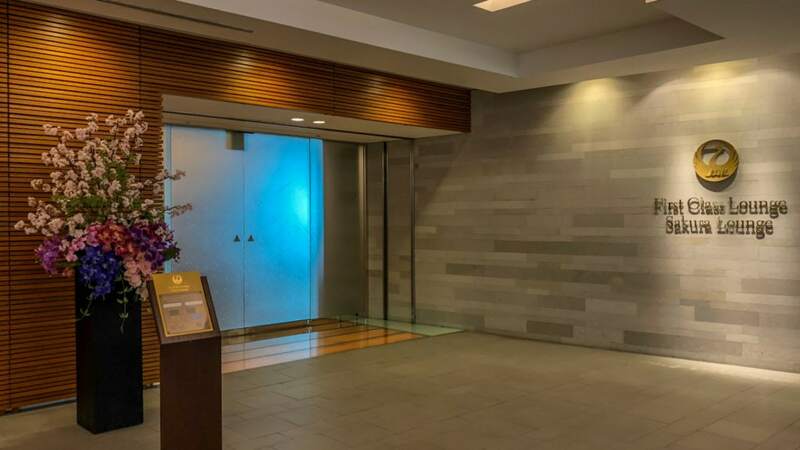 However, in my opinion, it doesn’t quite hold its own against the ‘wow’ factor of some other first-class airline lounges (the Qantas First Lounge comes to mind). After a mid-morning glass of Drappier Champagne, it was time to commence the 10-minute walk to the departure gate. 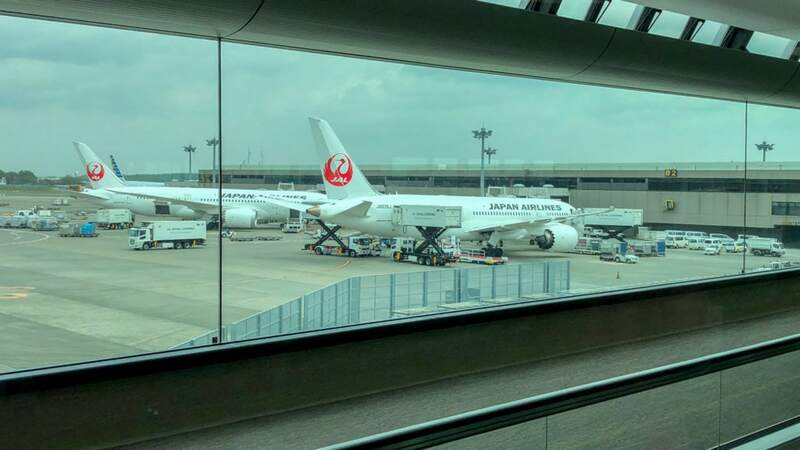 Before long, we spied our smart looking Japan Airlines Boeing Dreamliner parked at the gate. Shortly after our arrival, boarding commenced. We were able to access fast-track boarding courtesy of my Qantas Platinum status. 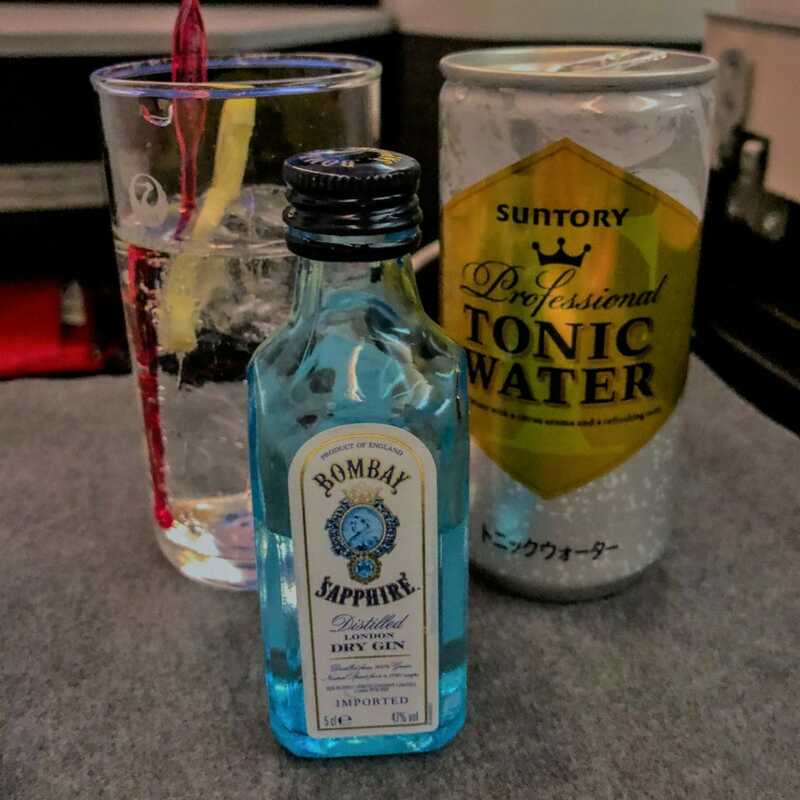 Upon embarkation, the friendly and efficient cabin crew welcomed us warmly, displaying quintessentially Japanese hospitality, or Omotenashi, as it is known. We were promptly shown to our seats and left to settle in. The Japan Airlines 787-9 Dreamliner features 195 seats. The 44 Business Class seats and 35 Premium Economy seats make up almost 40% of passenger capacity in this aircraft configuration. This is clearly a significant investment in premium seating by JAL. 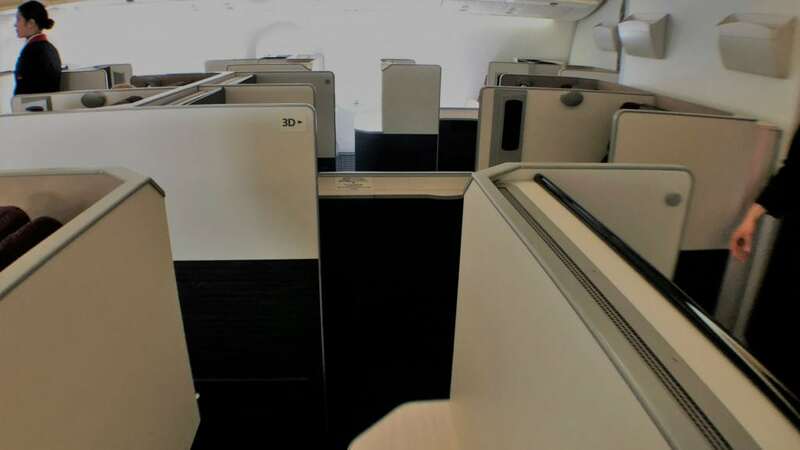 In fact, space wise, the Japan Airlines business cabin occupies almost half the floor space of the aircraft! … and another at nightfall. A six-seat wide layout is generally dreaded by business travellers because it usually means that some passengers miss out on aisle access (we’re looking at you, Emirates). However, this isn’t the case with Japan Airlines. Clever design ensures that the entrance to each Sky Suite is staggered, so all JAL Dreamliner business class passengers have access to the aisle without the need to clamber over another traveller. While we’d flown to Tokyo in aisle seats, both my friend and I were keen to nab a window seat for the journey home. The Japan Airlines 787-9 Dreamliner business class window seat offers amazing privacy and light. Our journey home was predominantly a daytime one, so this seemed like the way to go. The cabin was warmly lit in a welcoming hue. And with a private bank of bright Dreamliner windows to gaze out from all day, we certainly weren’t disappointed. 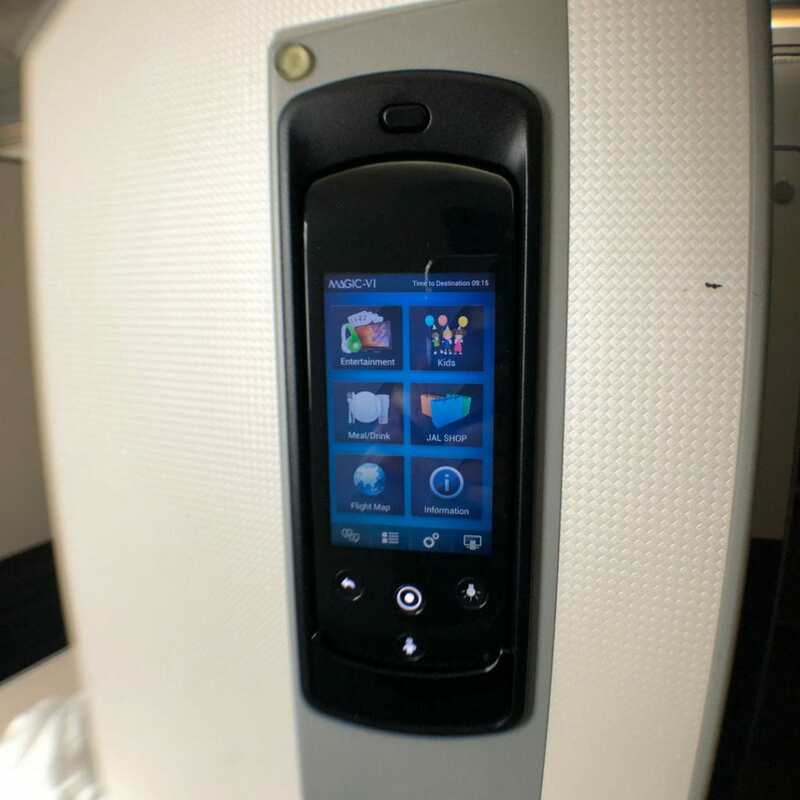 What can you expect from the Japan Airlines business class Sky Suite? 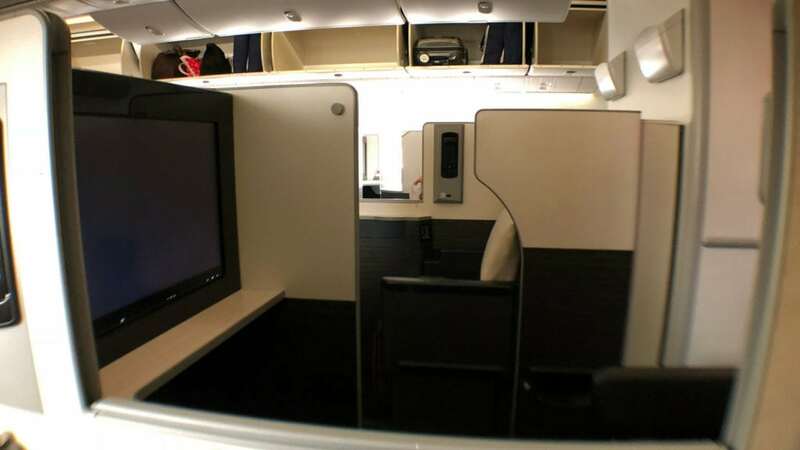 Japan Airlines Dreamliner business-class features the Sky Suite II. 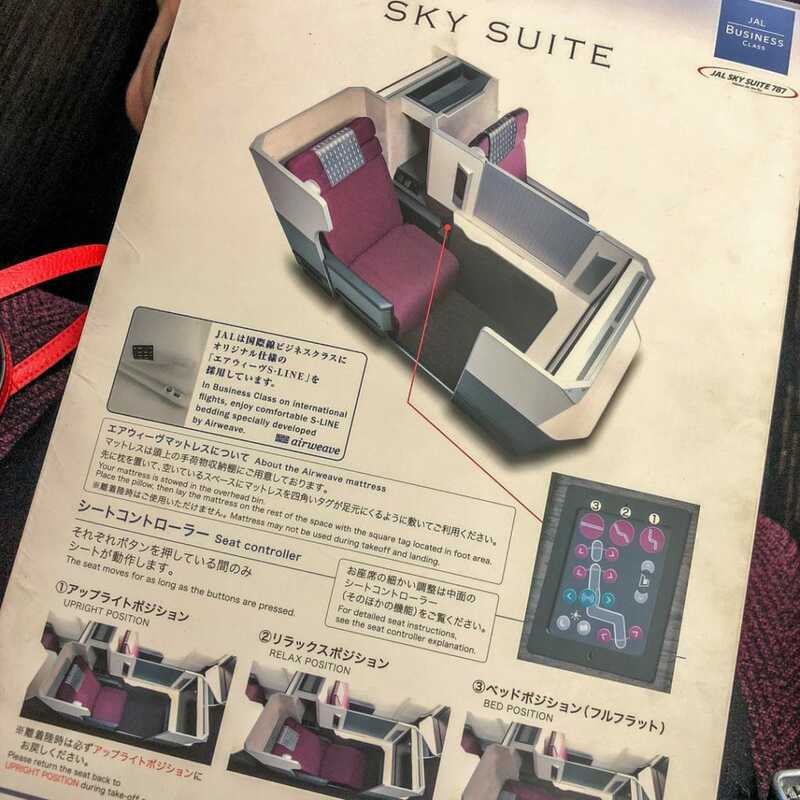 While it’s not the latest JAL Sky Suite, it’s still up there with the best, and extremely comfortable. The seat is upholstered in red fabric, and it reclines to a fully flat 1.88-metre bed. The personal LCD screen is large and offers great visuals. 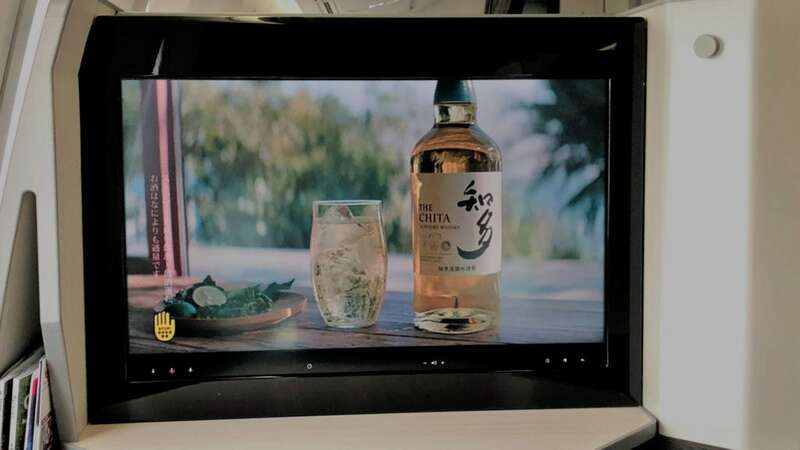 My Japan Airlines business class LCD screen provided comfortable viewing, even in recline! The entertainment console is positioned close to hand. The Japan Airlines business class Sky Suite offers a number of personal storage options, including a spacious foot-well. A storage pouch located at the top of the seat is also a handy touch. 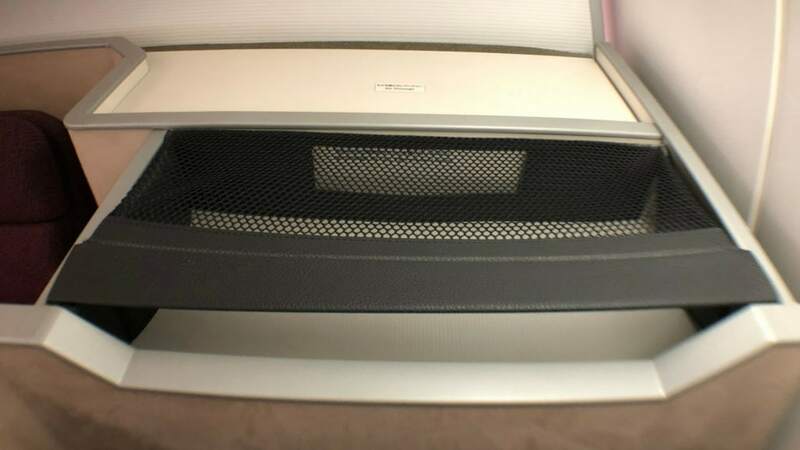 The tray table pulls neatly out of the armrest. It’s a decent size and very sturdy, certainly functional enough to allow for long periods of working on a laptop during the flight. The Japan Airlines business class seat itself features a number of different recline positions. Helpfully, a comprehensive guide to the Sky Suite is placed in each seat pocket. 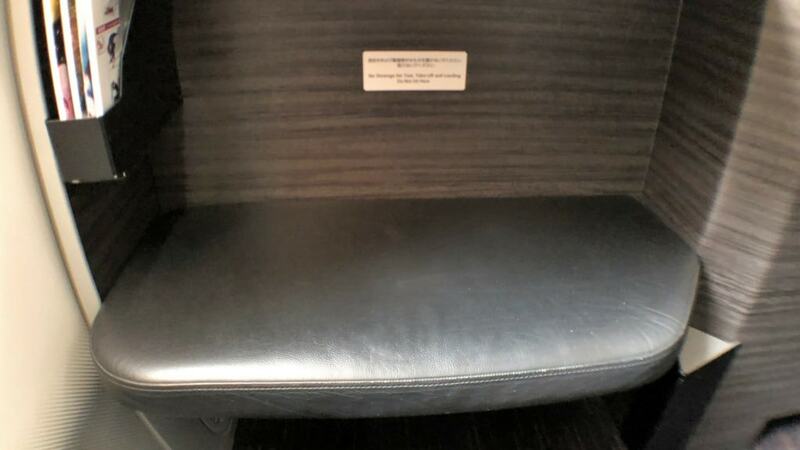 A number of in-seat amenities were provided at the start of our flight. 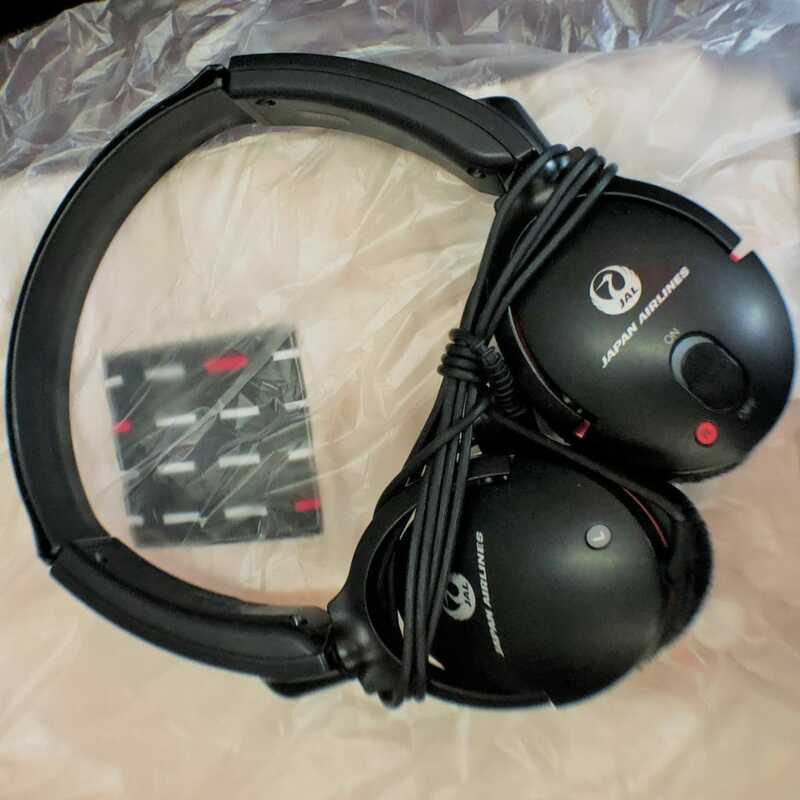 A pair of high-quality noise-cancelling earphones were placed on the seat, along with slippers, a shoe horn and a comfortable blanket. Just after takeoff, the cabin crew came around to offer passengers a cardigan and an amenity kit. The current Japan Airlines business class amenity kit is designed by the luxury Italian brand, ETRO. The fabric vanity pouch displays a traditional Kikko pattern. It’s designed by Tatsumura Textile, a Kyoto-based manufacturer. 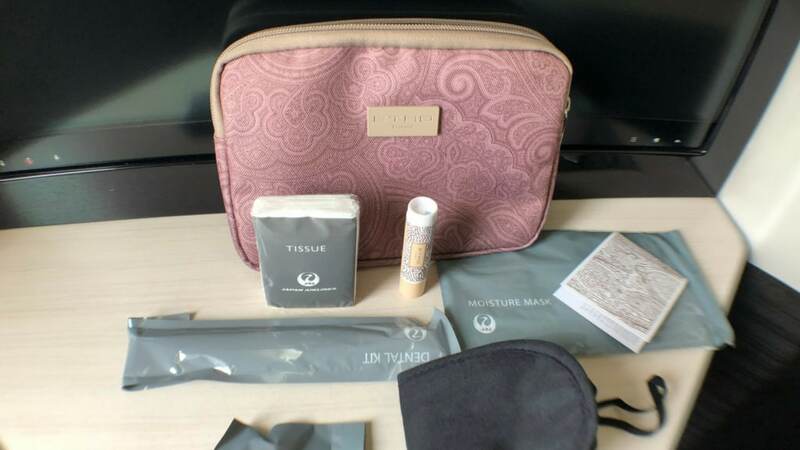 Inside the beautifully designed JAL business class amenity kit you’ll find a moisture mask, lip balm, tissues, dental kit, eye mask, tissues and earplugs. Shortly after takeoff, the cabin crew came around to offer drinks. 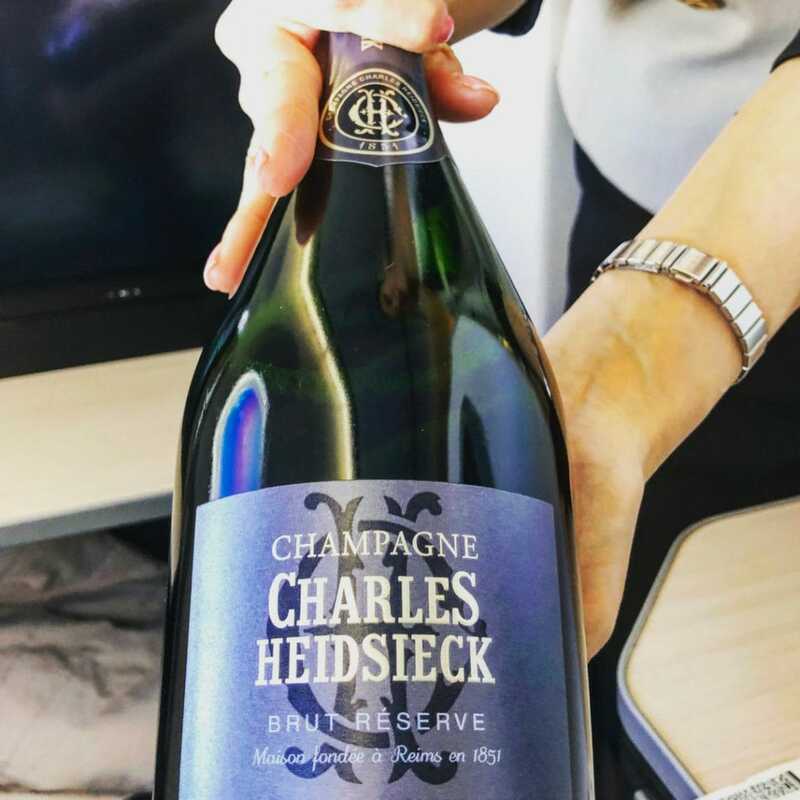 I opted for a glass of the Charles Heidsieck Champagne. My friend opted for a gin and tonic. It was delivered with a cute, mini bottle of Bombay Sapphire Gin. 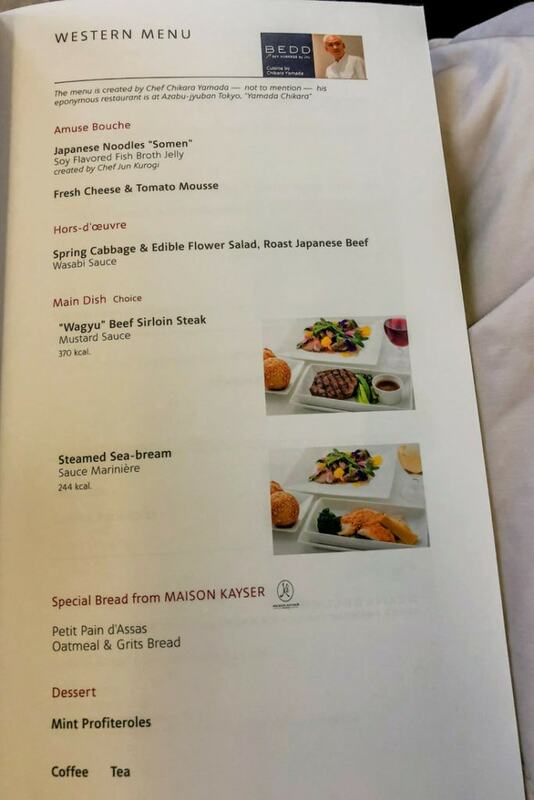 The Japan Airlines business class menu is named ‘BEDD, Sky Auberge by JAL’. 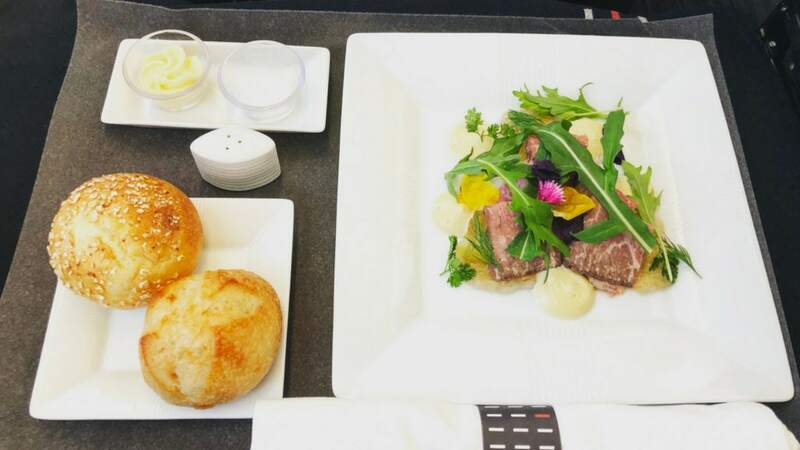 It’s undoubtedly one of the most impressive business class menus you’ll find. 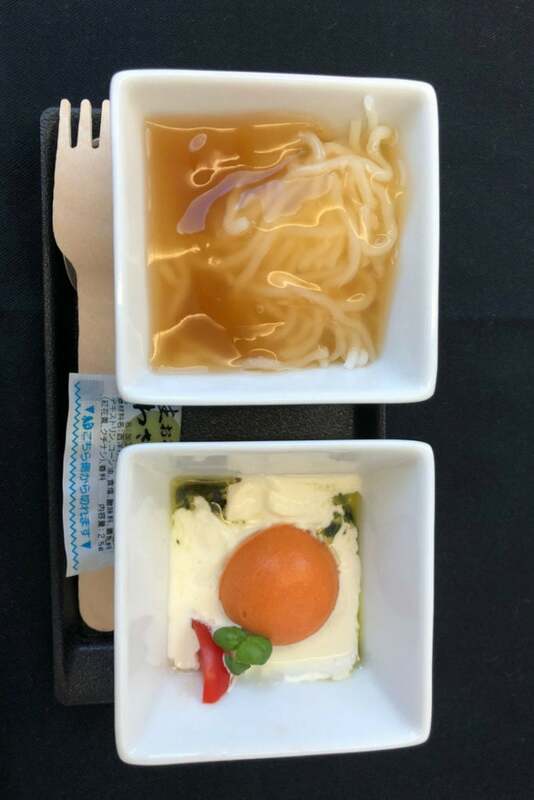 It was very comprehensive for a ten-hour flight, offering a number of Japanese and Western ‘dine on demand’ dishes in addition to a multi-course main meal. 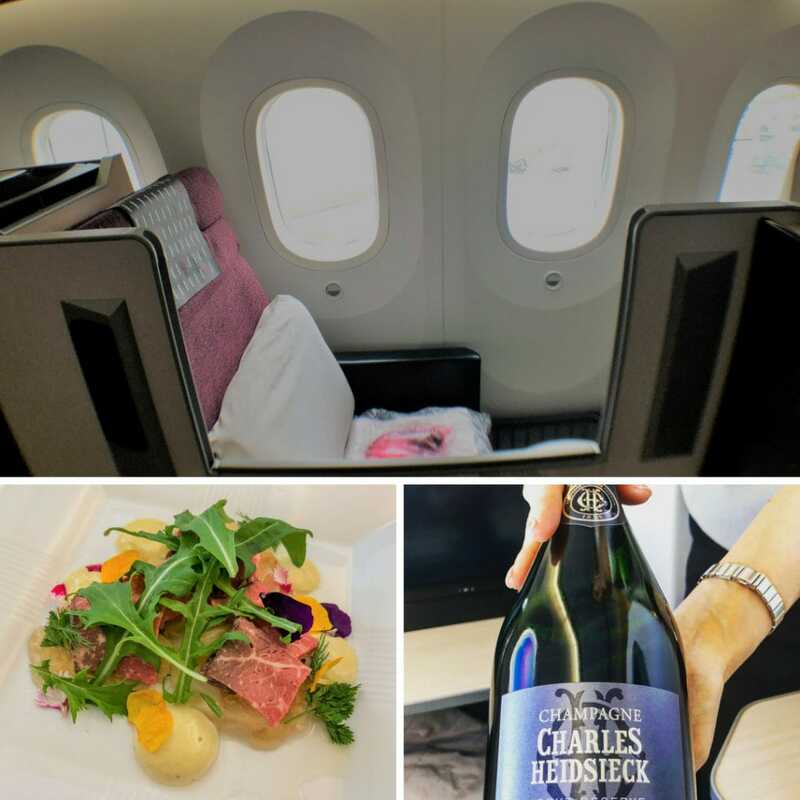 The Japan Airlines business class beverage menu was likewise very extensive, offering a number of premium wines from Australia, the USA and Europe, in addition to four types of sake. For my main meal, I opted for the Western set. The entree medley of Japanese somen noodles plus cheese & tomato mousse was impressive – fresh and delicate. The hors-d’oeuvre was a delightful spring cabbage and edible flower salad with Japanese roast beef and wasabi dressing. It came with a serve of wonderfully crusty French bread from Maison Kayser. 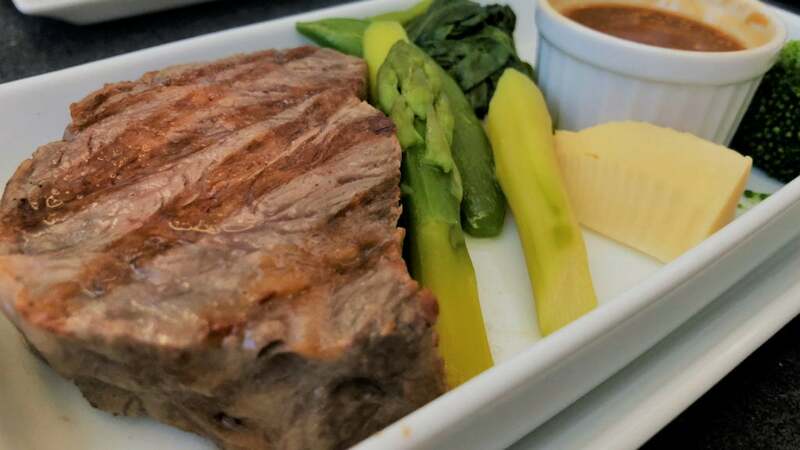 My main course of Wagyu beef sirloin served with mustard sauce was the best steak meal I’ve ever eaten on board an aircraft. A meltingly tender piece of wagyu, it surpassed all others. This includes the Book the Cook Wagyu beef fillet with Enoki mushrooms I enjoyed on Singapore Airlines first class last year. I paired both beef courses with a light pinot noir from Sonoma, California. 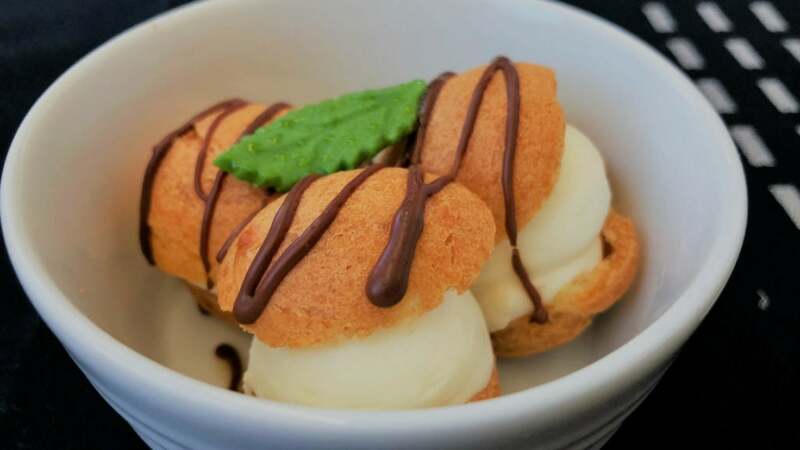 To finish my meal, I opted for the mint profiteroles, a perfectly sized and beautifully presented dessert. At this point, it was late afternoon, and I enjoyed the sublime view of the sky from my private bank of Dreamliner windows. With a few hours to go before landing, I then reclined my seat into the fully lie-flat position and enjoyed some shut-eye before the descent into Melbourne. I was able to get around two hours of sleep. Before long, the captain switched on the seat belt sign, and we commenced our descent, signalling the end of this very impressive flight. 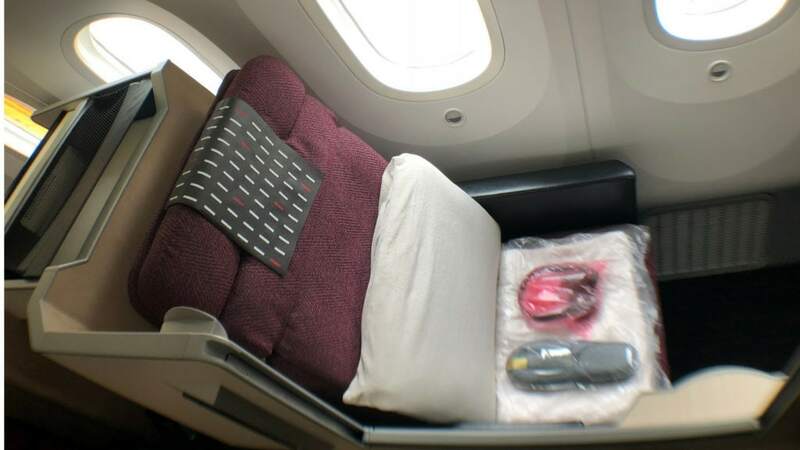 Japan Airlines offer a high standard of business class (undoubtedly operates one of the best business class products in the sky, and for good reason. 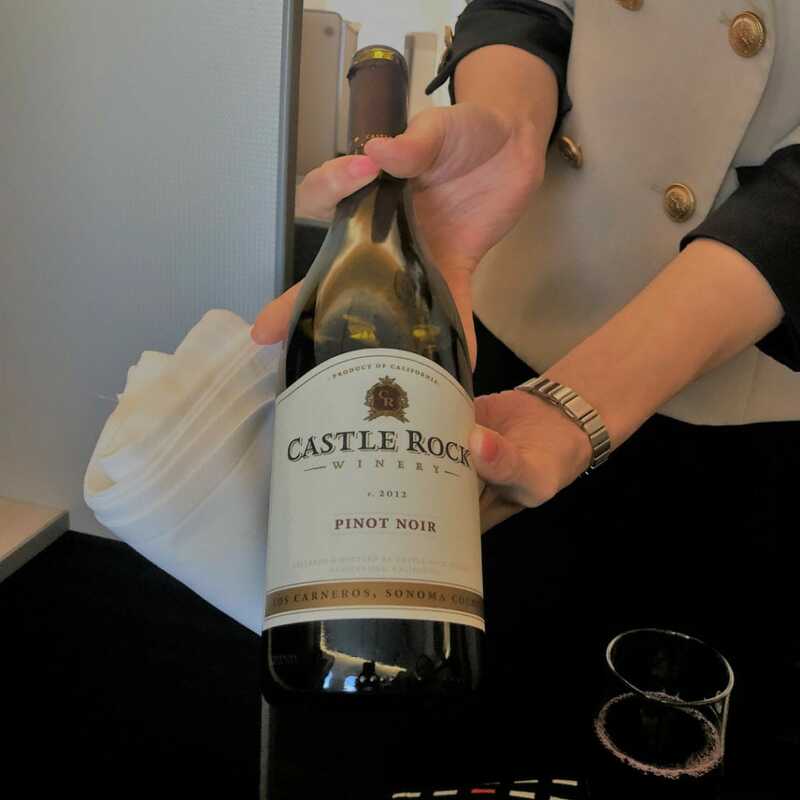 Featuring a fabulous hard product, quintessential Japanese service plus magnificent food and wine options, this product is really very hard to fault. Seat wise, window Sky Suites offer the ultimate in privacy. I’d highly recommend selecting one for a daytime flight (even if travelling with someone else). 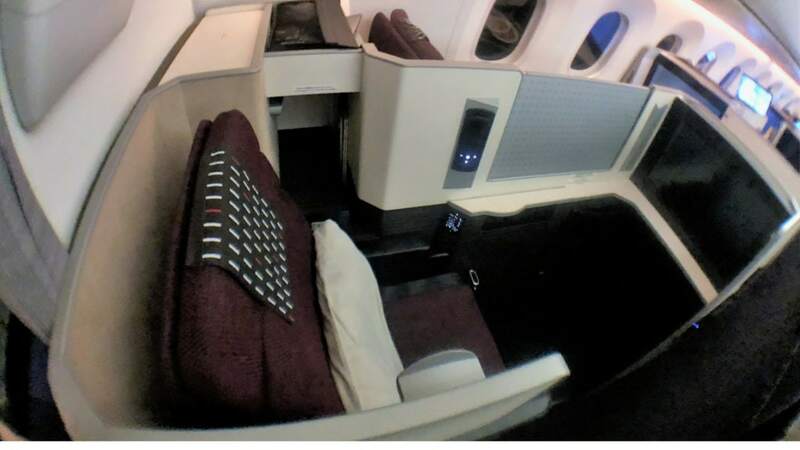 And with Japan Airlines business class award seats easily booked online via the Qantas website, it’s a product that is now very accessible to Australian frequent flyers. Go ahead, book it. I very much doubt you’ll be disappointed! Tokyo is hands down one of my favourite destinations, and I’m actively planning a return trip. 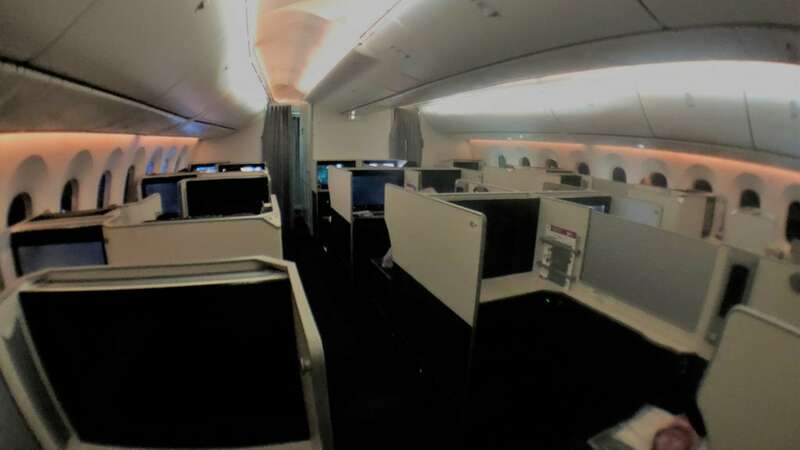 Many airlines offer direct, premium cabin travel to Tokyo from Australia. This includes Qantas and ANA business class. It’s also worth mentioning that accommodation in Tokyo can be very expensive, so it pays to do your research and book well in advance. Given the size of the city, you’ll need to consider the location of your accommodation carefully, and ideally choose a property with easy access to a train station / subway so that you can easily get around.